Sarah Hirshland, chief executive of the United States Olympic Committee (USOC), has responded to the House Energy and Commerce Committee report into the efforts to protect athletes from sexual abuse that was released in Washington D.C. The Energy and Commerce Committee, chaired by Greg Walden, summarised its findings after conducting a year-long investigation into sexual abuse with the USOC and its 48 national governing bodies (NGBs). Former USA Gymnastics team doctor Larry Nassar is now serving up to 175 years in prison having been found guilty of sexually abusing dozens of American gymnasts. An independent report published earlier this month by law firm Ropes & Gray claimed the USOC and USA Gymnastics had facilitated Nassar's abuse of hundreds of athletes and had failed to act when the allegations against the disgraced doctor emerged. Senators have called on the Federal Bureau of Investigation (FBI) to investigate both USOC and USA Gymnastics following the report, which stated Nassar "acted within an ecosystem that facilitated his criminal acts". 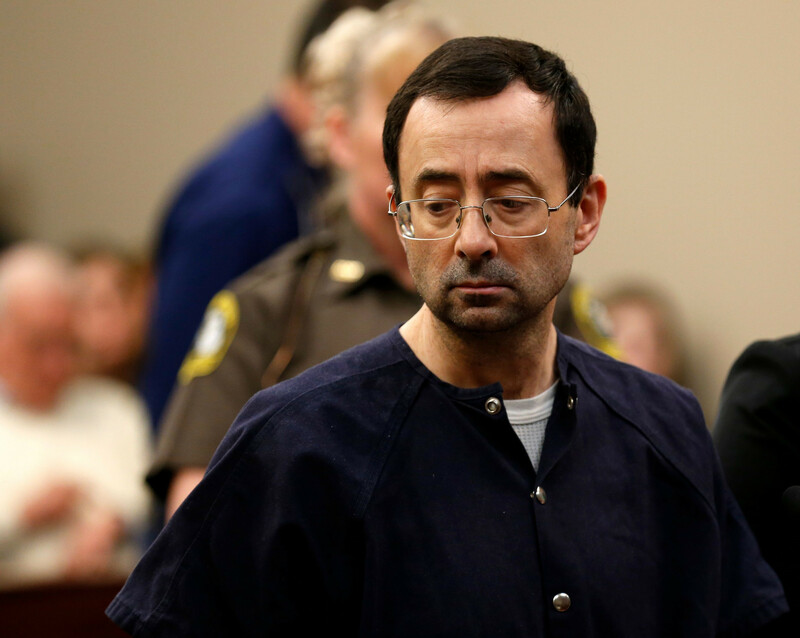 Entitled "Nassar and Beyond: A Review of the Olympic Community's Efforts to Protect Athletes from Sexual Abuse", the Washington report details a number of failures and trends within the Olympic community that contributed to widespread instances of sexual abuse. The report lists several recommendations aimed at definitively putting athlete safety at the centre of the USOC and each NGB's mission. "Our year-long investigation revealed a number of breakdowns and failures in the system to protect athletes, including in how allegations of sexual misconduct have been handled by the National Governing Bodies - the groups that run individual sports - and the US Olympic Committee," said Walden. "Over the course of this bipartisan investigation, the Committee spoke with many survivors, and their experiences informed and shaped our work. "The report outlines recommendations of robust policies and procedures to put athlete safety first. "While it's clear these organisations have made some strides, more work remains so that our athletes can finally feel safe and protected." The report concludes: "The Olympic community has made strides in the last decade to improve athlete safety, including through the use of the Baker Tilly audits and the creation of the USCSS (U.S. Center for SafeSport). "These efforts have not gone unnoticed. "However, vulnerabilities in the system still exist. "It is imperative that the USOC, NGBs, and USCSS are proactive to ensure that their policies and procedures, above all else, prioritise athlete safety, and are consistent, followed, and enforced." Hirshland said: "I'd like to thank the House Energy and Commerce Committee for conducting this important review and for the constructive recommendations they've provided. "While we've only just begun to digest the recommendations, this report adds another significant source of information to ensure we understand areas in which the Olympic community failed athletes and meaningful actions we can take to ensure that athlete safety is our number one priority. "Sexual abuse, harassment and discrimination have no place in the US Olympic and Paralympic community, and it's on all of us - member organisations, institutions, and individuals alike - to foster a healthy culture for competitive excellence. "Importantly, as noted in the report, we have taken meaningful action even since the Committee's review began, including strengthening the US Center for SafeSport and other athlete safety programmes, policies and procedures; empowering athletes’ voices in shaping key USOC and NGB policies; and evaluating and reforming how the USOC engages with NGBs and athletes. "We will continue to do the work necessary to develop a healthy culture that keeps athletes safe and allows them to be their very best."